Israel, S. and Sinclair, T. (Eds) (1987). Indian Wildlife, Sri Lanka, Nepal. APA Productions, Hong Kong. 363 pp. Sestiadti, B. (1986). 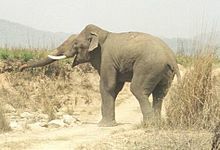 Mudumalai Sanctuary. India's wildlife and wildlife reserves. Sterling Publishers, New Delhi. Sharma, B.D., Shetty, B.V., Virekananthan, K. and Rathakrishnan, N.C. (1978). Flora of Mudumalai Wildlife Sanctuary, Tamil Nadu. Journal of the Bombay Natural History Society 75: 13-42.